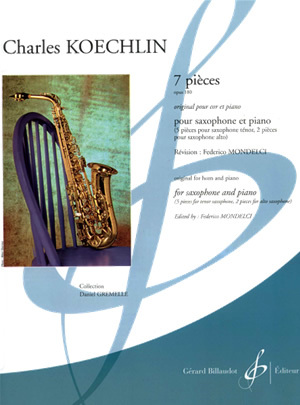 Original for French horn and piano. Federico Mondelci followed the indication of the composer found on the manuscript. Koechlin suggested to make a version for saxophone and piano for 7 pieces out of 15 with indications of key and instrument.